Thank you for visiting Florida Martial Arts and Fitness Center of Ocala, home of the finest martial arts instruction available anywhere. Professional instructors are here to teach you the fine points of martial arts in a relaxed environment, enabling you to learn quickly and efficiently. Everyone can benefit from our fun and exciting classes. 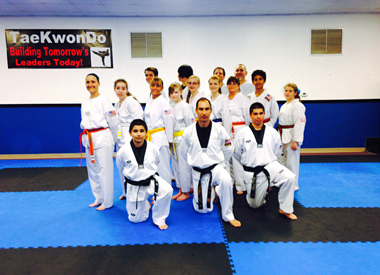 Bring the kids and make Florida Martial Arts and Fitness Center your new family fun center! Florida Martial Arts and Fitness Center caters to every member of the family, regardless of your current age or experience level. Men, women and children of all ages can find fun and fitness in and among our many classes. Our Little Ninjas class is geared toward children ages 4 to 6. We also offer Youth Taekwondo, Adult Taekwondo, Teen and Adult Weapon Training, and our ever opular Cardio Kickboxing classes. Each class offers a combination of skills and techniques, along with physical fitness conditioning and lots of good, clean fun! 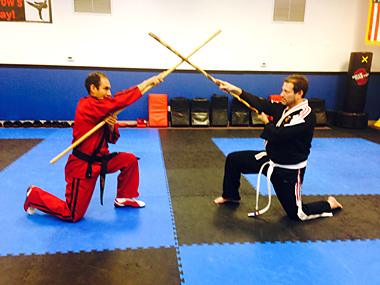 We understand that martial arts instruction needs to train the whole person: the body, the mind, and the soul. We want to shape you and help transform you into a Black Belt from the inside-out. You’ll be physically fit, mentally focused, and emotionally strong – that makes for an unfair advantage against any opponent! Our team of professional instructors will help you hone your skills in fun, action-packed classes that provide complete martial arts training - from the tactical to the practical, you’ll get it all! The line-up of fun and fitness is endless and ever-changing. We’re always adding more awesome workshops and activities to keep you challenged and excited about martial arts instruction. Many of our students have reported enormous boosts in self-disciple, self-esteem and perseverance after only a short time of training at Florida Martial Arts and Fitness Center. These same students have also boasted about the fact that the skills they learned at our karate school have helped them to achieve more in other areas of their lives. They now perform better at school, at work, and in all areas of their daily life. We want to help YOU achieve these life-changing experiences also! Make the Right Choice! 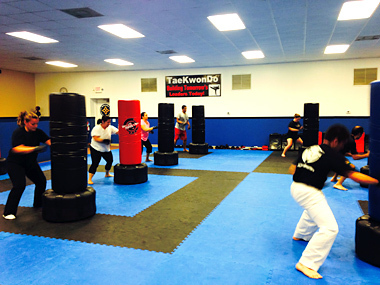 Choose Florida Martial Arts and Fitness Center! Signing up for classes at Florida Martial Arts and Fitness Center could very well be the best decision you’ve ever made for you and your family. We can help you achieve your goals, no matter what they may be. The success stories we see every day are the ones we help create. Don’t you want the next one to be yours? Give us a call right now at 352-237-1332. Our courteous and professional staff is waiting to offer you a Free Trial Program. There’s nothing to lose – and SO much to gain! Share this site with a friend or family!